Monegasque Astronauts on the Space Shuttle. Dreams Become Reality. ©Embassy of Monaco in Washington D.C.
It’s a defining moment in Monaco’s history. 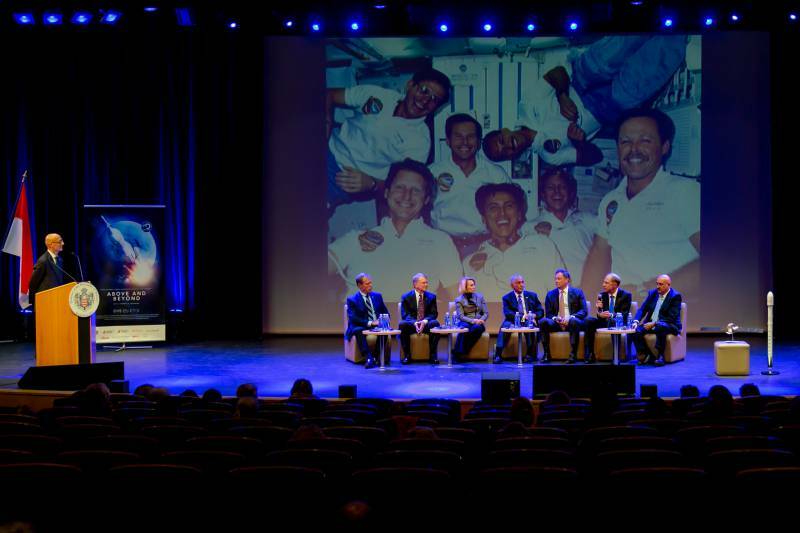 When Monaco astronauts and Monegasque mission specialists are teamed with the leaders of the world in space science, and taking the initiative in space travel, it will be to 2018 they look back. 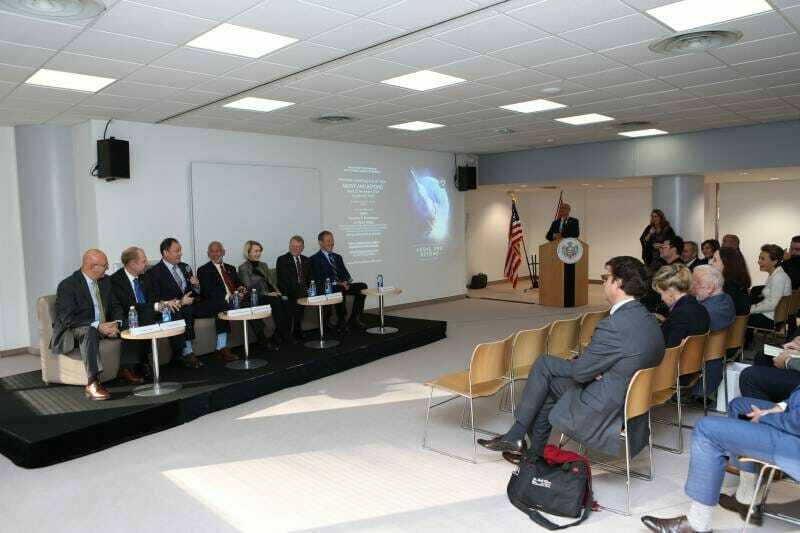 Monaco is the leading European country to engage with NASA via Axiom, an organisation partnering NASA on Space travel. The Monaco Grand Prix started with similar vision, with seeds planted by the Nogues family, by Louis Chiron and by Prince Louis II. So reminds us Monaco’s Ambassador to the United States, Maguy Maccario Doyle. 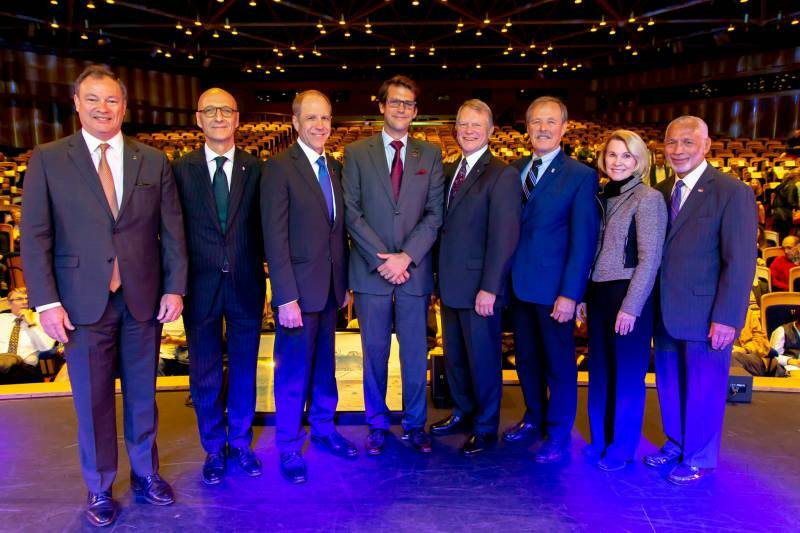 Carpe Diem – Monaco via Prince Albert has seized the opportunity to plant more seeds, this time across a new frontier. Prince Albert is encouraging the world to cooperate in Space and in particular to think green. 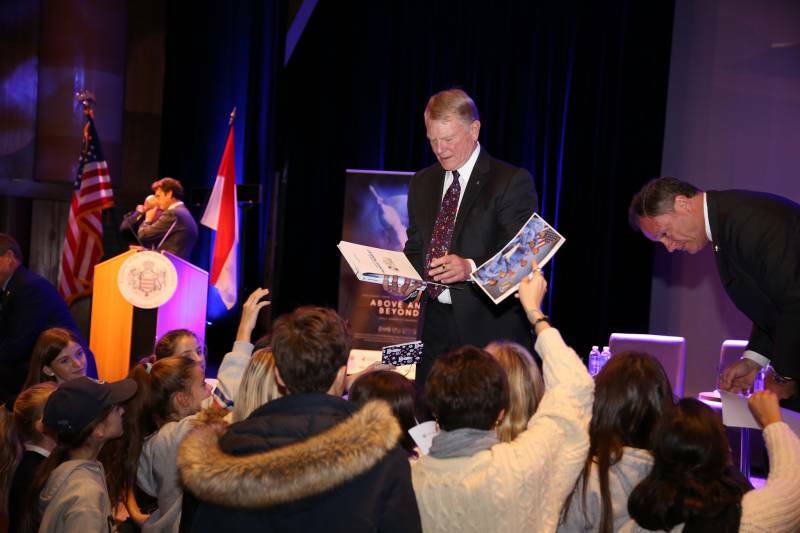 How the countries of the world approach Space has immense implications for our planet. It sets precedents for international cooperation as evidenced by the International Space Station. The greening of space and the greening of the earth are two sides of the same coin. Take the opportunity to see the film «Above and Beyond: NASA’s journey to tomorrow» to experience the full impact. 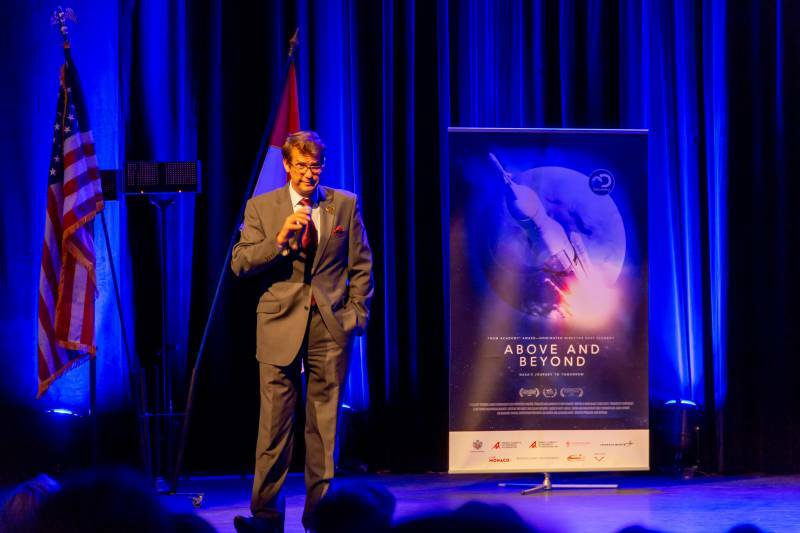 Rory Kennedy, niece of President Jack Kennedy, recalls in the film, in its advance-premiere in Monaco, his famous galvanising call to conquer the cosmos: “we are going to the moon – not because it is easy but because it is hard”. And later astronauts from Space added this profound observation: “we went to the moon and we discovered earth”. Rory herself opines how the more we explore space the more we appreciate how special is this “blue marble” – our own unique planet earth. Prince Albert exhorts us all to cooperate to protect it, reminding us on two-thirds of its surface are marine environments. HelloMonaco spoke with Captain Hoot Gibson, veteran Commander who flew aboard Space missions including Columbia, Atlantis and Endeavour. 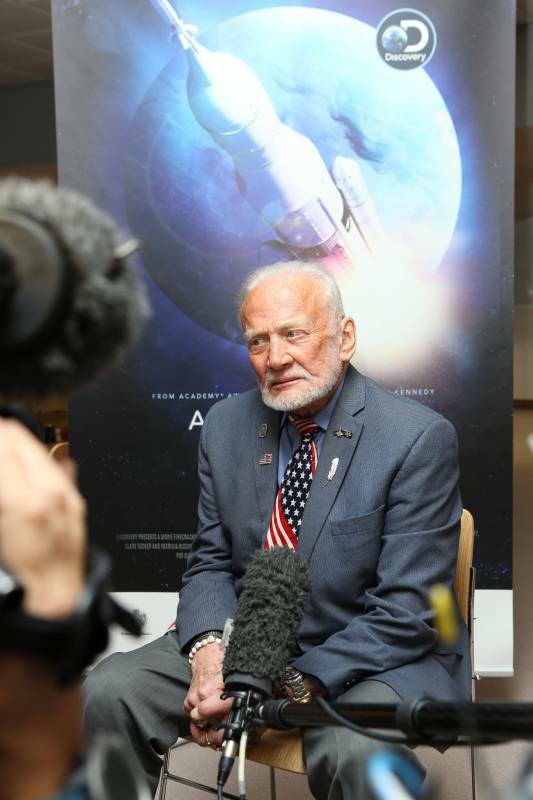 Hoot personally experienced a poignant moment between himself and his Russian astronaut colleagues, played out in front of the President of the United States, that he believes helped end the Cold War. 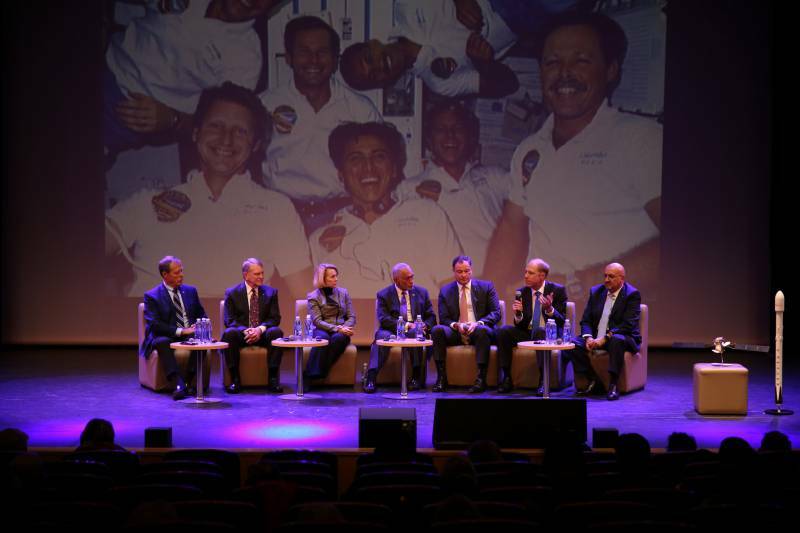 That is the power of international cooperation in Space that Monaco is encouraging. Did you know that astronauts are real people? They fall in love and they have beautiful children called “astrotods”. HelloMonaco huddled with Captain Robert Hoot Gibson (mission commander) and Rhea Seddon mission specialist and surgeon, the very first astronauts to marry. They are so human they even talk excitedly about shopping in Monaco, and on which of their credit cards they could spend the most. A day in Monte Carlo and a day in Space for them are both adventures. HelloMonaco: What do you see when you look down to Earth? Rhea Seddon: They say there are no national frontiers when you look down. Believe me there are: you see the green from irrigation in Israel standing out against the desert. You see the lights in South Korea versus the relative darkness of North Korea. You see sandstorms and desertification. Actions of Governments and Nations have an enormous effect on our planet. HelloMonaco: You are a doctor and astronaut. Physiologically, what special things happen to the human body during Space travel. How do women fare? Rhea Seddon: Interestingly, our bodies adjust to being weightless. We ‘fly around ” in the Space station instead of walking and running. So our skeletons “know” they are needed less and actually start to disappear at a rate of about one per cent a month. Women have shown themselves to be particularly suited to space travel. 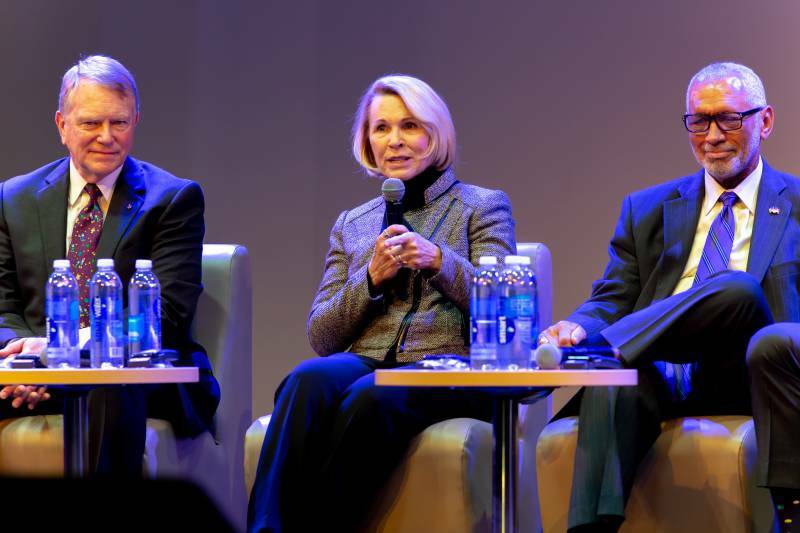 There are no barriers and young women today are well-positioned to be first-class astronauts. HelloMonaco: What is your most poignant moment in life – one that remains with you forever? Rhea Seddon: There is a special moment I will never forget and it has an element of humour in it too. My son was preparing, like many children in the United States, to ask us astronauts serious questions, while we were in Space, via special radio communication. He said to me before I entered the spaceship “Mom – if they choose me, don’t embarrass me and say mushy stuff like ‘I love you’ in front of the whole world”. Well, they did choose him – and what do you think HE said after his serious science question? “Mom, I love you. Come home safely”. HelloMonaco: What’s the next frontier in Space travel in your children’s lifetime? Rhea Seddon: Even in my lifetime, instead of men on the moon expect women and men on Mars. My husband would have liked to be the first. For a young woman today who has a dream of being an astronaut – that dream can come true. HelloMonaco: Space travel is such a huge endeavour, no one nation can go it alone – does it have the power to change the world? Hoot Gibson: I have had that life-changing experience. I fought in Vietnam as a fighter pilot. In those days there was a genuine feeling the Cold War would actually lead to a real war between the United States and Russia. Since then in Space, Russian astronauts have become among my closest friends. One of the finest moments in my life and as an astronaut was when Commander to Commander I shook hands with my Russian counterpart – and it was the President of the United States himself who then said “I guess the Cold War is over”. Cooperation in Space has the real power to bring us together in friendship. HelloMonaco: Do you ever worry about Star Wars? Hoot Gibson: We would be naïve to think that there is no surveillance going on. Spying from Space is one thing, but fortunately there is an International Treaty against weaponization in Space. And much of the scientific instrumentation and satellites in Space are actually used for beneficial purposes like earth science – to understand and protect our own beautiful and precious planet. That is the future. HelloMonaco: What was your funniest moment in Space – that you will always laugh about when telling your children? Hoot Gibson: My speciality is piloting and commanding spacecraft. There are eminent scientists specializing in space science on board. One day in Space, while on a break, I was doing the space-tourist equivalent of looking through the wrong end of a telescope at the stars – not quite that bad, but for my scientist friend it was hilarious. So he put up a notice pointing at my head “black hole in this direction”. 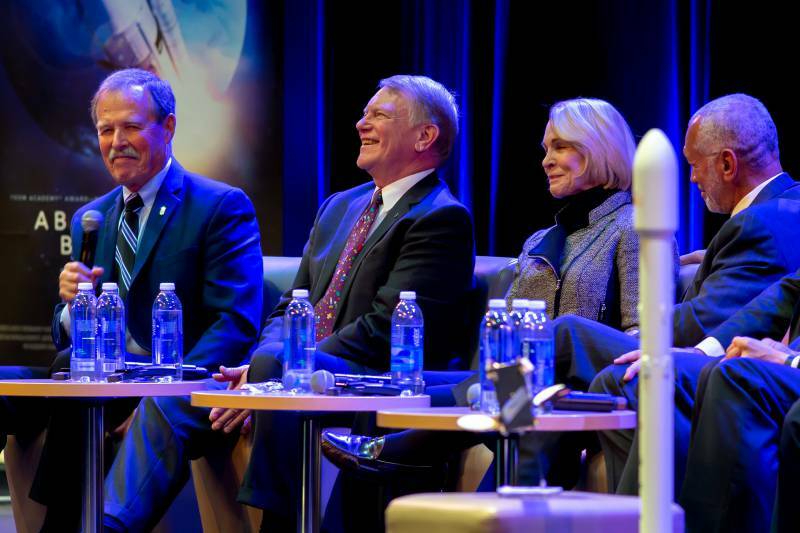 Laughter together and, of course, space-travel brings us all closer. It was a wonderful moment and I am reliving it as I share it with you. One thing is sure, just as sure that Monaco’s second satellite in Space will be “green” – Monégasques will be training to be astronauts very soon – sooner than anyone would have believed possible. 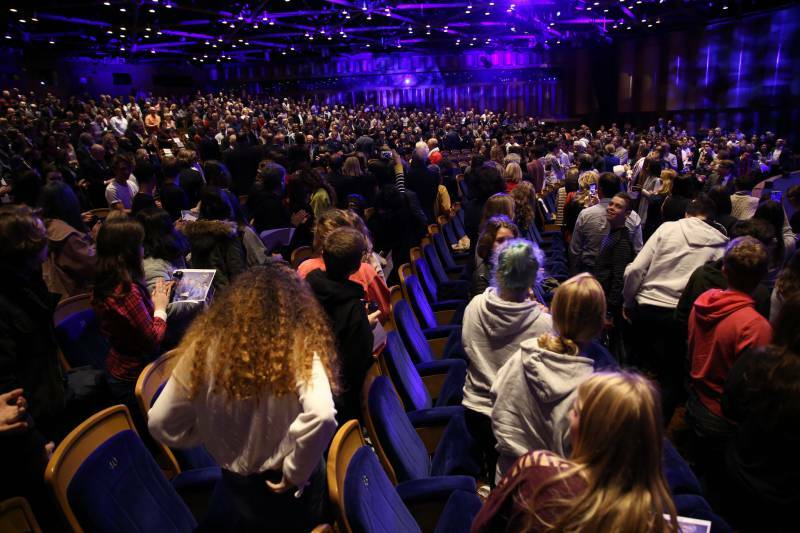 So HelloMonaco asks this question – in the same spirit when once a hand-full of visionaries asked ‘could there be a Grand Prix in Monaco’: In our lifetime and in our children’s lifetime will a Monegasque be travelling to Mars and beyond. Dreams become reality.